In a bid to intensify their 2019 championship challenge, Ferrari have decided that a change at the top is required and replaced Maurizio Arrivabene with Mattia Binotto. With the decision-makers at Ferrari running out of patience, they have decided to call time on Arrivabene's reign, which began back in 2014 when he was appointed by the late Sergio Marchionne, replacing Marco Mattiacci. Their current chief technical officer Binotto has been confirmed as the new team principal ahead of the 2019 season. "After four years of untiring commitment and dedication, Maurizio Arrivabene is leaving the team. The decision was taken together with the company’s top management after lengthy discussions related to Maurizio’s long term personal interests as well as those of the team itself. "Ferrari would like to thank Maurizio for his valuable contribution to the team’s increasing competitiveness over the past few years, and wish him the best for his future endeavours. "With immediate effect, Mattia Binotto will take over as Scuderia Ferrari’s Team Principal. All technical areas will continue to report directly to Mattia." With Binotto being largely credited with spearheading Ferrari's improved power unit performances, the team have been championship contenders for the last two seasons. 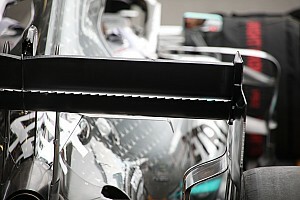 However, driver and team errors have proven costly, and what should've been a close championship fight went completely Mercedes' way in the second half of 2018. In attempt to up their game on the driver front, Ferrari will be hoping that their move to replace Kimi Raikkonen with Charles Leclerc will encourage improved performances from Vettel in 2019. Ferrari have now followed that up with a management restructure, which they hope will see improved decision-making at the top of the team. They were criticised for their reluctance to apply team orders in Germany, whilst none were applied Austria, where Raikkonen finished second and just ahead of Vettel. Their decision to not give Vettel the slipstream during qualifying for the Italian Grand Prix was considered a poor one by many, and an incorrect tyre strategy in a damp-to-dry Japanese Grand Prix qualifying session cost them the chance of victory in that event. 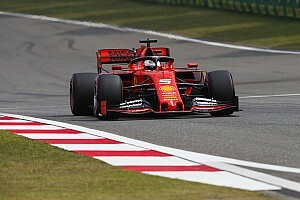 Tensions between Arrivabene and Binotto were believed to be at an all-time high towards the conclusion of the 2018 season. Ferrari through and through, Binotto began his career with the Scuderia back in 1995, when he joined the team as a test engine engineer, before performing the same role from 1997-2003. 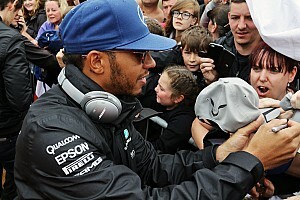 He was appointed a race engineer from 2004, which resulted in a role as 'chief engineer, race and assembly' in 2007. 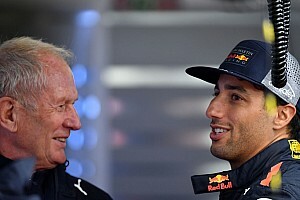 He moved back onto the engine side of operations in 2009 when he became Head of Engine and KERS Operations, a year when only Ferrari and three other teams elected to at least trial the new-for-2009 KERS system. Appointed Deputy Director, Engine and Electronics in October 2013, Binotto then took on the role of Chief Operating Officer, Power Unit. Finally, he was promoted to Chief Technical Officer in 2016, as Ferrari's attempts to make gains in the power unit department intensified.